A series of explosions in the skies of Russia’s Urals region, reportedly caused by a meteorite shower, has sparked panic in three major cities. The fireballs' explosion was the equivalent of 300,000 tons of TNT, damaging 3,000 buildings with the powerful shockwaves generated from the blast. Witnesses said that houses shuddered, windows were blown out and cellphones have stopped working. A bright flash was seen in the Chelyabinsk, Tyumen and Sverdlovsk regions, Russia’s Republic of Bashkiria and in northern Kazakhstan. At least 1,000 people sought medical attention as a result of the incident, according to the Russian Interior Ministry. No serious injuries have been reported, with most of the injuries caused by broken glass and minor concussions. Lifenews tabloid said that at least one piece of the fallen object caused damage on the ground in Chelyabinsk. According to preliminary reports, it crashed into a wall near a zinc factory, disrupting the city's Internet and mobile service. The Emergency Ministry reported that 20,000 rescue workers are operating in the region. Three aircraft were deployed to survey the area and locate other possible impact locations. Witnesses said the explosion was so loud that it seemed like an earthquake and thunder had struck at the same time, and that there were huge trails of smoke across the sky. Others reported seeing burning objects fall to earth. Clearly not an asteroid, the Chelyabinsk meteor came from the direction of the Sun, where Planet X, aka Nibiru, is wafting its vast debris ridden tail. This meteor event is not the first nor will it be the last during this passage. Fireballs have been on the increase since Planet X arrived in the inner solar system in 2003. They have screamed across several countries or provinces or states, outside of any anticipated regular meteor showers. Is this meteor related to 2012 DA14, recently discovered and traced to pass between the Earth and Moon later on the same day as the Chelyabinsk meteor? There is no relationship, as 2012 DA14 is an asteroid dislodged from its usual path by the swirling in the tail of Planet X. The Russians have claimed that they shot down the Chelyabinsk meteor, unsure if it were a missile, an attack, and in any case trying to diminish the size and potential impact. This is true, and as meteors are slowed by the atmosphere, and as the flaming meteor makes an unmistakable target, they were able to connect. Does the Chelyabinsk meteor usher in a new era of larger and more devastating fireballs descending upon the Earth? Without a question, and all will be coming from the direction of the Sun. Just another fact the cover-up will be unable to adequately explain. Just another reason why Obama needs to proceed with haste to confess that a cover-up has existed since Reagan’s Executive Order on the matter. Or will yet more lies be generated by NASA. Gordon Gianninoto located a video that shows the surface to air heat seeking missiles that shot down the Russian meteor. There has been dispute, and the Russians deny, but here's the proof! The inverted image shows the missile trails most clearly. This is the opinion of Russian scientists who say they have collected nearly fifty pieces. All the meteorite would not disintegrated. Scientists said Monday it had found fragments of the meteorite that disintegrated over the city of Chelyabinsk and whose shock wave has more than a thousand injured Friday in the Urals. The Ministry of Emergency Situations of Russia had announced Sunday stop research while divers had searched the day all day in vain funds a local lake, Lake Tchebarkoul, location of alleged fall one of the fragments of the meteorite. But scientists from the University of the Urals, sent there, claimed to have found a fifty fragments near the lake. "The members of the expedition to find the meteorite sent to Yekaterinburg debris they found," says the University in a statement. "According to the leader of the expedition, a member of the Academy of Sciences Viktor Grokhovski, this meteorite is the class of chondrites", a term denoting a type of meteorite stony, the University continues, adding that the fragments found were composed 10% of iron. "The main fragment in the lake"
The meteorite should be called "meteorite Tcherbakoul," the statement said. Since we have found debris (...), this means that the main fragment is in the lake, "said Viktor Grokhovski, quoted by Interfax. A meteorite found by Russian scientists to ten tons, s' disintegrated Friday morning over the city of Chelyabinsk, an industrial city of over a million inhabitants. Has the South West of Britain had a brush with a meteor similar to the one that rocked central Russia on Friday? Probably not, but mystery still surrounds this mysterious object captured hurtling across the British sky by a wildlife photographer. Stunned Annie Henderson, 65, was taking pictures of starlings on the Somerset Levels with a friend when she saw the bright light moving at high speed. Meteorit Chelyabinsk UFO saved us? why the missile did not explode? Before falling to the Urals meteorite exploded 9 times! Collapsed in the Chelyabinsk region heavenly body began to explode at an altitude of 55,000 meters. According to experts, the meteorite explosion occurred even in the upper part of the atmosphere - the ionosphere. Space object broke into several pieces, which are now leading the search for the security services and the MOE. - Before falling to the ground car, according to preliminary data, exploded nine times with small intervals of time. This phenomenon is at the meteor shower. Loud bangs and flashes of light in the sky over the Urals residents watched the two megacities. Cotton, likely occurred because of friction when entering the meteorite in the atmosphere, - said a source from the Ministry of Emergency Situations. - Meteor rain accompanied this natural phenomenon. According to preliminary data of a large meteorite could fall near the village of Kusa and about the military unit Chebarkul garrison. Specialists conduct measurements of background radiation and are looking for pieces of the cosmic body. - Brought Division of Radiation, Chemical and Biological Protection to monitor radioactivity. Since the explosion occurred above the ground, you have to check the background radiation over a wide area - said spokesman Jaroslaw CVO Roshchupkin. - Groups are directed to areas of several villages in the Chelyabinsk and Tyumen regions. All services are ready after receiving the first signal of an emergency. Now the city patrol car equipped with speakerphone. And the volunteers and rescuers asked all residents to stay together. Classes in schools stopped the next day. Most affected Chelyabinsk Theatre drama. The building is divided into about 80 window panes. For tonight administration decided to cancel all activities for children in the city. - The chamber theater audiences are invited to the show from the area. Perhaps, in view of the current situation and problems with transport performance did not take place - told Life News Ministry of Culture of the Chelyabinsk region. - The public library is also now closed to visitors. While the Ministry of Emergency Situations reported 524 victims of a meteorite impact, among them 67 children. Eyewitnesses claim to have seen similar sights to event over Russia that prompted panic and caused thousands of injuries. People in California who claimed to have seen a meteorite on Friday night posted video of the event to YouTube. A day after a stunning meteorite tore through the skies above Russia, causing widespread damage and hospitalising scores of people, sightings of fireballs have been reported by residents in California and on Cuban state television. The Chabot Space and Science Center in Oakland, in Northern California, said a number of people had made contact, describing what appeared to be a fireball flying west on Friday night. Cuban state TV – perhaps keen to get in on the act with its former Cold War ally – reported that it too had been visited by a giant meteorite earlier in the week. It said residents in the country had been startled by bight lights and a loud noise. A local newscast, posted on the website CubaSi late Friday, featured unidentified residents of the central city of Rodas, near Cienfuegos, saying the explosion was impressive. @Gerard, the Watchers site had a NASA graphic which shows, undeniably, that the Russian fireball/bolide came FROM THE SUN. Planet X debris. An object fell from the sky over central Cuba on Thursday night and turned into a fireball "bigger than the sun" before it exploded, a Cuban TV channel reported Friday, citing eyewitnesses. Some residents in the central province of Cienfuegos were quoted as saying that at around 8 p.m. local time Thursday (0100 GMT Friday) they saw a bright spot in the sky comparable to a bus in size. The object then turned into a fireball "bigger than the sun," said the witnesses, adding that several minutes later they heard a loud explosion. One resident told the TV station that his house shook slightly in the blast. 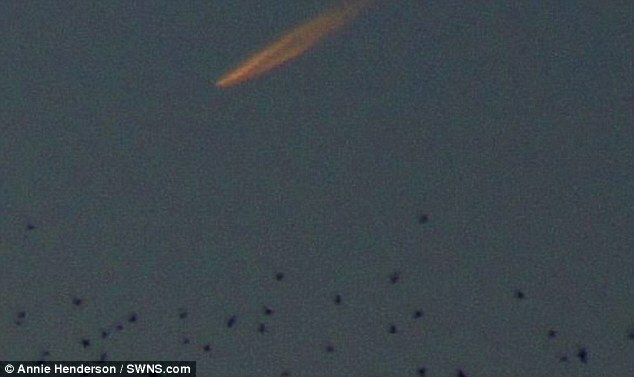 Cuban experts have been dispatched to the area to look for possible remains of the meteor-like object, said the report. It remains unknown whether the reported phenomenon in Cuba is related to Friday's meteor strike in central Russia, which set off a shockwave that shattered windows and left some 1,000 people injured. Another fireball, this time over San Francisco, CA. Residents of a locality 'in the central region of Cuba said they had seen an object that fell from the sky and exploded with a great noise, which shook the houses of the place: it is learned from testimonies collected by local television. In a report released this morning by Rodas, town in the province of Cienfuegos, witnesses described a very bright light that has come to have large size, comparable to that of a bus, before exploding in the sky.